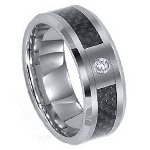 A flat satin profile is embellished by a single sparkling CZ in this ultra contemporary titanium wedding band for men. 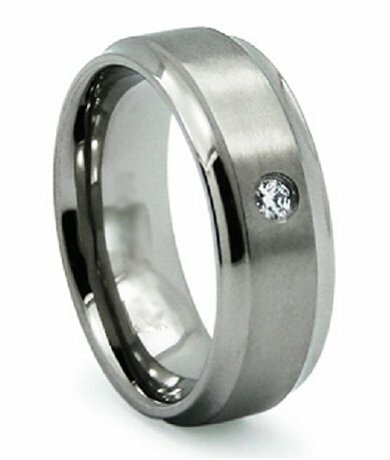 Step-down polished edges add to the sophistication of this gorgeous 8mm band. 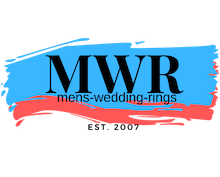 Simple elegance at its best!